SeaSpider is the world’s first dedicated Anti-Torpedo-Torpedo (ATT), designed without compromise to be an effective and affordable solution to counter the threat to ships and submarines. It is the key element in the ATLAS ELEKTRONIK solution to provide both proven and deployed torpedo defence to the full functional chain “from sensor to shooter.” With unprecedented performance in both deep and shallow water SeaSpider will provide Navies with the capability to protect their ships, submarines and sailors against torpedo attack. A defence system that actively targets the incoming threat torpedo with the aim of destroying or disabling it. SeaSpider is deliberately designed to provide reliable defensive capability even in the worst “sonar weather”. Protects against any type of torpedo regardless of homing mechanism or propulsion system. SeaSpider is deliberately designed to be affordable for navies in procurement and operation. “Hardkill” in this sense means a defence system that actively targets the incoming threat torpedo independent of its type or homing functionality with the aim of destroying or disabling it by explosive and/or kinetic force before it completes its mission. Only the Anti-Torpedo-Torpedo can provide this capability against any and all threat torpedo types in all relevant environments. The underwater environment is challenging in its variability, never more so than in the shallow waters of the world’s “Littorals”. But it is here that navies increasingly need to operate. 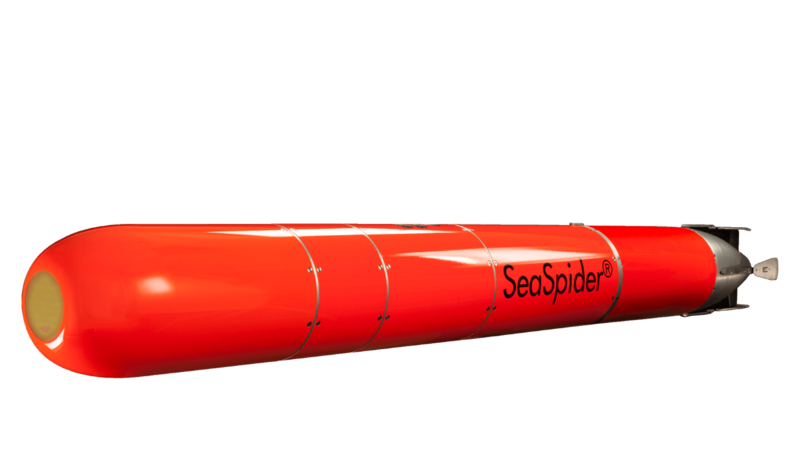 SeaSpider is deliberately designed to provide reliable defensive capability even in the worst “sonar weather”. Benchmarking the effectiveness of torpedo defence to the most challenging environment navies need to operate in is the only way to fully ensure the safety of ships and sailors. The torpedo threat is increasingly diverse. Heavyweight torpedoes differ in their propulsion types, the type and configuration of their sensors and in their guidance capability. Torpedo propulsion has seen great advances in recent years with new records in range and speed even for the “stealthy” electrically propelled torpedo. In sensors the wake-homing torpedo for instance is increasingly proliferated and fully impervious to legacy “softkill” torpedo defence technology. Digital torpedo homing sonars provide high performance and are resistant to decoys and jammers. Wire guidance provides the “man in the loop” the capability to enhance torpedo performance and utilize advances tactics. The most modern torpedoes combine these and other advances into the most dangerous threat to ships today. SeaSpider is deliberately designed to be affordable for navies in procurement and operation. To achieve a low unit cost, uniquely for guided underwater weapons, a solid propellant rocket motor was chosen as propulsion element. This provides affordable compact high energy performance. Other design choices aim to minimize production cost. The operational concept for SeaSpider allows for a “torpedo alarm” configuration with a very low false alarm rate which reduces expenditure. The maintenance free SeaSpider canistered round reduces maintenance effort and simplifies handling.